The first factor to consider before choosing hydroponic nutrients is knowing which growing medium you’ll be using, such as coco coir, soil, or hydroponics. The majority of nutrients are made for specific media, having the specific media on the bottle so you know which nutrients are safe to use. Should you be using soil, phosphorus, nitrogen, and potassium levels need to be kept in mind before adding more. Plants may not require supplemental nutrients for a period of time while using a particular type of soil. With coco coir or hydroponics, however, you’ll have to add all needed nutrients due to plants growing in an inert medium. Plants depend on the solution you provide for their nutrients and water needs. When growing in soil, it’s advised that you stop providing nutrients around 7 to 10 days before harvesting. You should only provide water and a flushing agent. With hydroponics, this time period is reduced to 4 to 7 days before harvesting. Flushing helps to remove salt and heavy metal buildup that get stored within plants and provide them with a chemically, artificial and bitter taste. After flushing, plants are left with their essence and have a faster and safer clearing of these harmful elements. Should you overfeed your plants and notice nutrient burn signs, make sure to only use water for the next couple of feeds and a flushing agent to restore plants’ homeostasis quickly. Should you wish to increase the size of your yield, bloom boosters provide higher density of buds and flowers. Bloom boosters can be utilised in conjunction with almost any base nutrient, providing a high source of Potassium (P) and Phosphorus (K). It’s advisable, however, that signs of nutrient burnout are watched for. These nutrients are strong but effective. Tiny fungal filaments, mycorrhizae, attach to roots and gather the needed moisture and nutrients that plants need. They enjoy the sugars in the roots, having a natural and beneficial relationship with plants. Non-hydroponic growing tends to be preferred to grow better mycorrhizae colonies, however, there are especially made products for hydroponic growth. Thiamine, or vitamin B-1, is essential for plants to create and use carbohydrates. This provides them with the needed energy for strong vegetative growth, essential oil production, and flower growth. It helps to strengthen the immune system of plants and to improve stress and disease resistance through activating Systemic Acquired Resistance (SAR). It’s also vital for root development, resulting in a faster nutrient intake and improved resistance to cloning, shock, and transplanting. To help plants break down nutrients into easier-to-absorb small components, plants need enzymes, with carbohydrates and starches being particularly vital. They also help to prevent the formation of algae and Pythium, so make sure to introduce enzymes into your plants’ nutrient solution. As additives, root stimulants improve size and growth rate of plant roots. 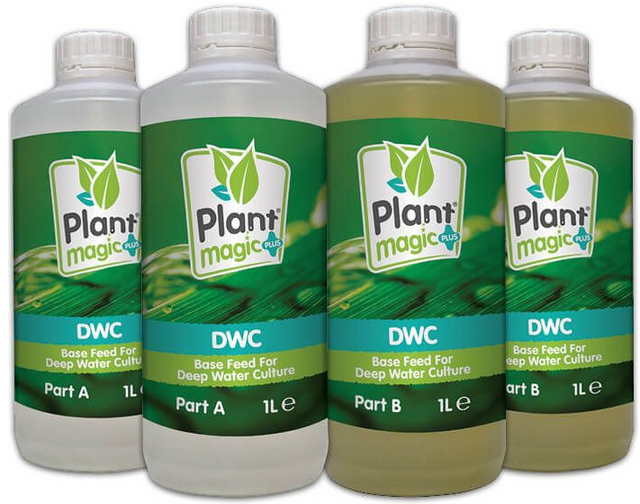 This can help plants to better intake their nutrients, resulting in a larger growth with a better root structural support. Should your plants have root issues like root rot, root stimulants often prove to be helpful. Whether through the flowering phase or at the beginning of plants’ life cycle, root stimulants can be highly beneficial. Make sure to contact us to know more about hydroponic nutrients - our team is always happy to answer any questions you might have. We have a range of other essentials for grow rooms, so make sure to browse our website. You can also get in touch if you wish to become a stockist.